Hunt for a process to convert a brick of lead into gold was probably the most elusive quest during the olden times when alchemy was around. However, alchemists, who were mostly dismissed as pseudoscientific quacks, actually did some good ground work to make their dream of turning lead to gold into a reality. And then came the 20th century, when transmutation of one element to another became fairly common. In fact nuclear reactors started working on the same principle. So, besides breaking of uranium atoms and combining of hydrogen atoms to form helium, did it actually become possible to transmute lead into gold using the same process? Sure it did. Today it is totally possible to make lead (Atomic number 82) release 3 protons to turn into gold (Atomic number 79). Not just in theory, people have actually done it successfully in laboratories. For one, Glenn Seaborg is said to have done it in the year 1951. To do this, you’d need a particle accelerator. And if you plan to use it as a get rich quick scheme, then you are in for a bad news. Transmuting lead to gold in a laboratory consumes massive amounts of energy, even if you have to do it in extremely minute volumes. So much that the price of doing it exceeds the price of gold by a very big amount. Also, only a very minute volume of gold comes out this way. To make a single ounce of gold this, it would cost you one quadrillion dollars. You could just buy the same amount for $1300 instead. Not even the world’s greatest researchers are too sure about what really happens when you put your hand in front of a particle accelerator beam. And yet, we know what happens (not always) when you stick your head into a particle accelerator. That is because a Russian scientist named Anatoli Petrovich Bugorski, in the year 1978, working at U-70 synchrotron at the Institute for High Energy Physics in Protvino, accidentally put his head into a particle accelerator while checking for a dysfunctional part in the equipment. His head came in the path of a high-energy proton beam moving at a speed that was just slightly less than the speed of light. The beam entered his head from the back and came out from somewhere around the nose. Only he knows what he exactly saw when that happened. Apparently, he saw a very bright light, a light brighter than thousand suns and felt no pain. The left part of his face, where the beam had passed, started swelling beyond recognition and people were certain that the man would soon die due to radiation poisoning. The proton beam had travelled through his head, burning all the living tissue in between and caused the skin at entry and exit points to peel off. 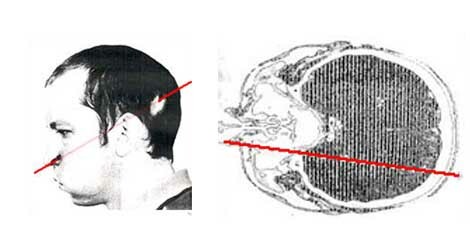 The beam had passed a part of his brain and had burnt a considerable amount of brain tissue too. The picture below shows the path where the beam travelled and burnt all the living tissue. Miraculously, he survived after being exposed to about 200,000 rads of radiation dose (enough to nearly kill the toughest bacterium)! Hell, even 500-600 rads are lethal for human beings. That was mostly because the beam was very thin and only a fraction of tissues out of the whole body that got exposed to the beam were severely damaged, it left most of the remainder of the body exposed at pretty low levels of radiation. Not just that, his mental performance showed no signs of degeneration. He even went on to complete his Ph.D after this accident and still lives a fairly healthy life. However, the accident did leave him with a dysfunctional left ear and a permanently paralysed left side of his face. Notably, the left side of his face became frozen and also never aged. At the same time, the right side of his face ages normally. At that time this accident was buried by the Soviet Union and was branded as top-secret. It was only a couple of years later the whole world came to know about this. Anatoli remains to be the only person to have ever done this. Most shockingly, he also survived it and still lives a fairly healthy life today. 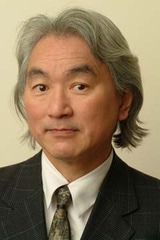 Dr. Michio Kaku without a doubt is one of the finest Physicist of the present times. Besides that he is also a very popular person. If you watch TV, you must have definitely seen this man some where. He has made several appearances on TV channels like BBC, the Discovery Channel, the History Channel, and the Science Channel. Also, he has written books and hosts a radio show. He has made science popular. But if you live in a cave, this person in the picture is the man I’m talking about. What made him the man he is today, was his great love for science since childhood. By the time he was in high-school, he had started doing incredible things. His high-school science fair project story, pretty much sums up the remarkable things he had started doing back then. Mom, can I have permission to build a 2.3 million volt atom smasher betatronic accelerator in my garage? With the help of his parents, he wound the 22 mile long copper wire around a football field that was able to generate a magnetic field 20,000 times greater than the Earth’s magnetic field. It could produce collisions powerful enough to create antimatter. After a few troubles with the power, there, he had his own 2.3 eV atom smasher (cyclic particle accelerator). This was an atom smasher built in his backyard garage – a mini version of the $ 10 Billion Large Hadron Collider. This science fair put him in the right track. A nuclear scientist, Edward Teller, noticed it in the National Science Fair and spread the word to the scientific community. And soon, he got a full ride to the Harvard University. What’s the Matter with Antimatter in the Atom Smasher?